Inter-VRF-Lite routing (2/7) | CCIE, the beginning! 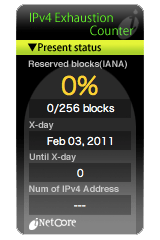 I note the network address of 0.0.0.0 with mask 255.255.255.0. Is this a default route? I’m confused by this network address and mask. Indeed, it is meant to be a default route “0.0.0.0 0.0.0.0” That was typo I have corrected in the lab, but not in the documentation. Now it is done! Thank you Steve, I appreciate your contribution.